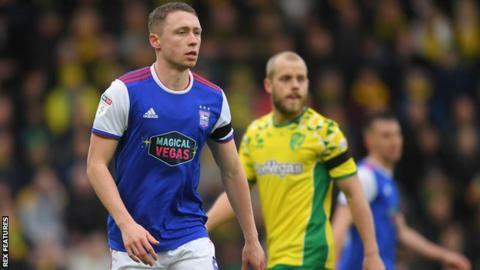 Ipswich Town loanee Matthew Pennington will miss the rest of the season after rupturing ankle ligaments in training. Pennington joined Ipswich last August on a season-long loan and made 31 appearances for the Championship club, scoring once. "That's what happens when you are bottom of the table because he's been great for us," said boss Paul Lambert. Ipswich are 13 points from safety with just seven games remaining.